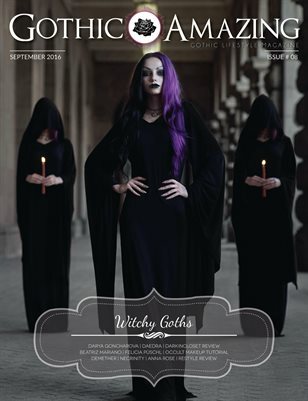 G&A issue #8 Witchy Goths Find inside interviews with Darya Goncharova, Beatriz Mariano and band Demether. Also, reviews of DarkInCloset & Restyle and an Occult Makeup Tutorial by ReeRee Phillips. Editorials with Daedra, Felicia Püschl, Necrinity and Anna Rose.